I have a question for you. 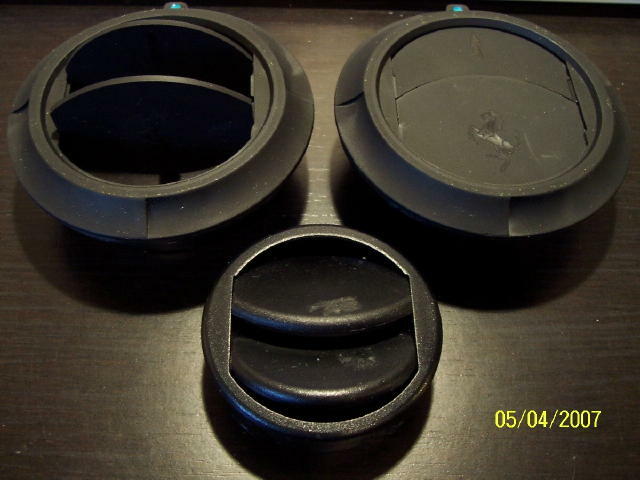 The two hinges at the top of the rear clip that it rotates upward on. Are those bolts with nuts on the end or just pins that inserted. 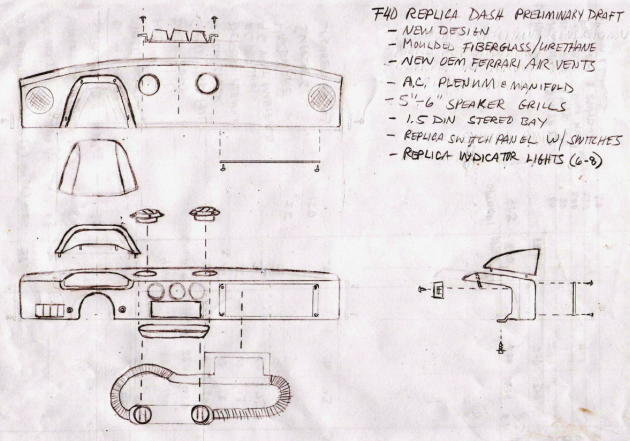 I need to remove the rear clip on one. Sorry I don't understand you question but unless you have a kit with extended roof like mine you have hinges that are different. 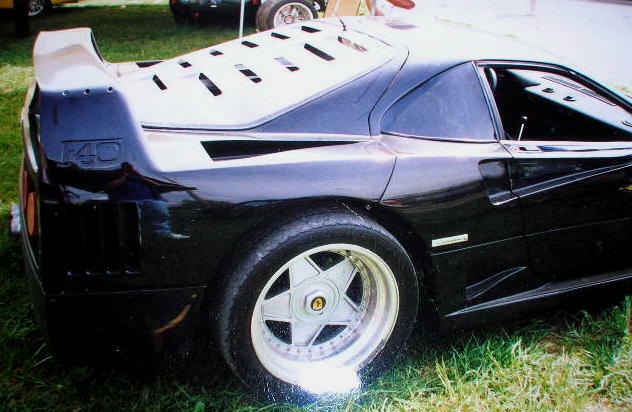 Mine are on a roll bar that sits back from rear window. Thanks any way. This one has 2 hinges with what looks like bolts. I'm just not sure if they are really bolts or just pins that will slide out. Thank's John for the Pisa stuff you sent me. Looks good and I am going to call them and talk about getting dash. 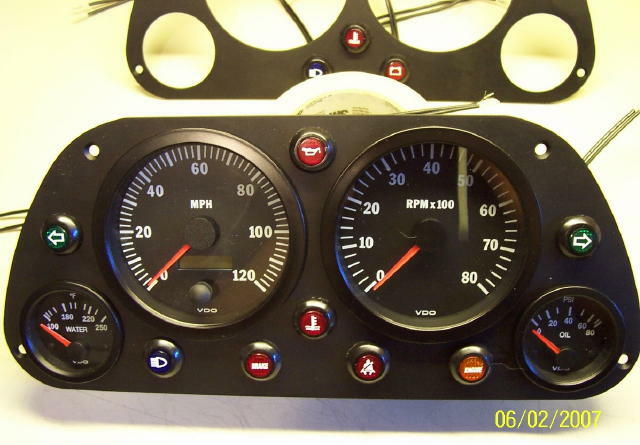 Getting close to purchasing Pisa Euro Dash but i have a question. 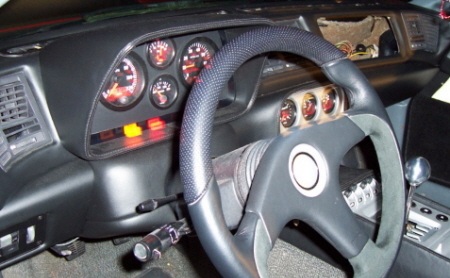 The VDO guages that Pisa sells are the Cockpit International Series and the speedometer reads 160mph. 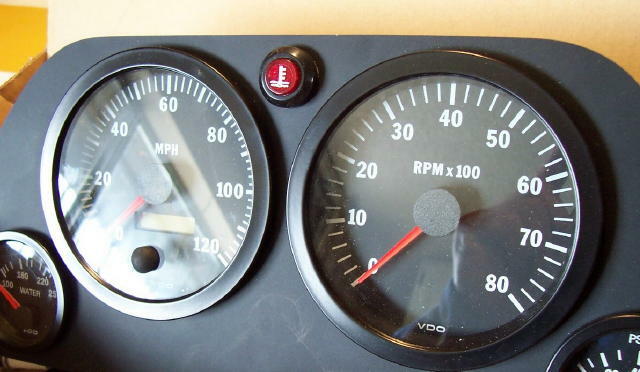 Does anybody know if VDO sells a 200 or 220 mph speedo that would also work. 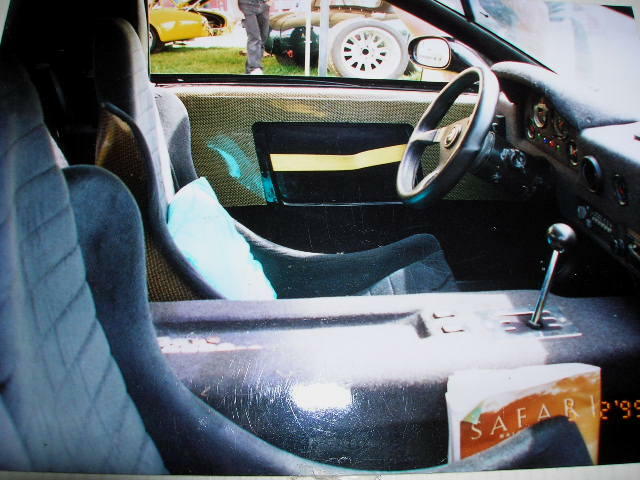 I remember there were a couple of Kitcar websites that went over the speedo coversion on Fieros. Look in the Lamborghini section. 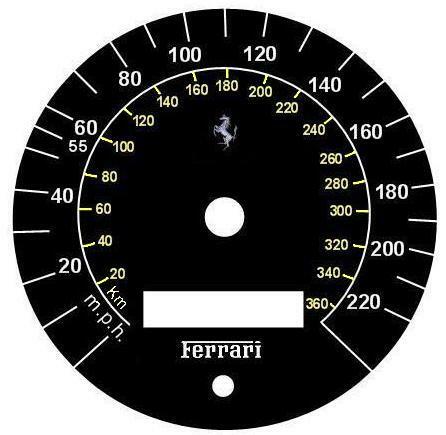 They even have a step by step to make your own overlays to (in their case) look like Lambo gauges. If I can find the link again I'll post it. Did some searching and found this. Don't know if its compatible though and who sell this in US. 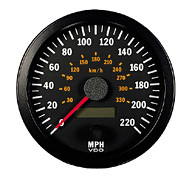 VDO Vision speedometers are electronic and fully programmable to match all vehicle setups. 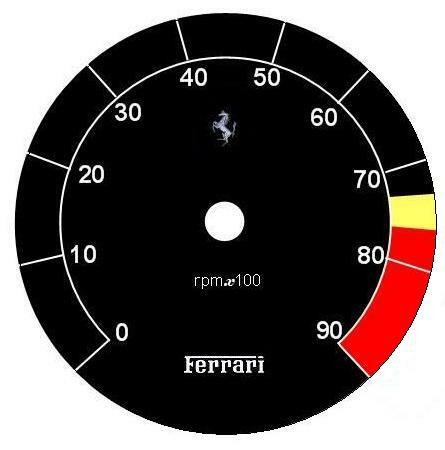 Compatible with the vast majority of OEM and aftermarket speed sensors, these speedometers are easy to install and program to suit. 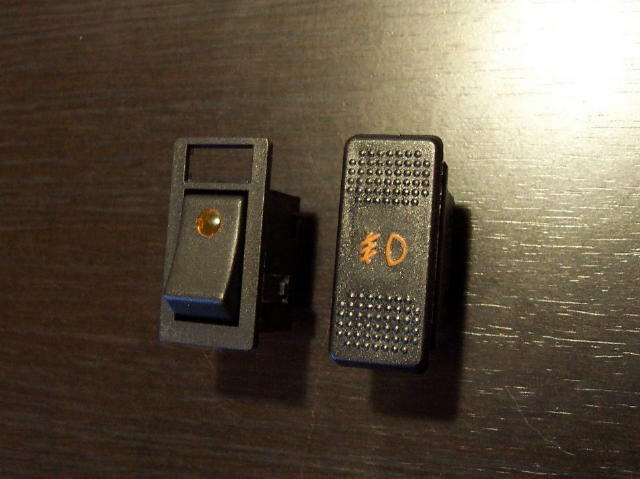 The LCD odometer shows Total recorded distance and, by pressing the front mounted rubber button, Trip distance. The Trip odometer counts up 999.9 (miles or kilometres depending on speedometer main unit of scale) and is resetable. 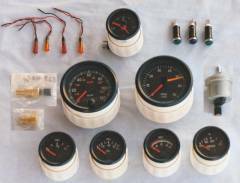 The Total odometer can not be reset and will store recorded mileage without the need for a constant voltage supply. Rob, I have VDO Vision in my car; 120mph speedo. The pointers illuminate . Speedo-update - seems that the 220mph VDO Vision is only sold in Europe. Now to reasearch who in Europe to get one from. Playing around with some VDO speedo and tach gauge inlays - Quick first try - I'm going to try other Ferrari fonts and horse colors. Ferrobi, great job on those gauges!! I'm curious, what software do you use to make those gauge printouts? Photoshop, or Illustrator, or a different one? 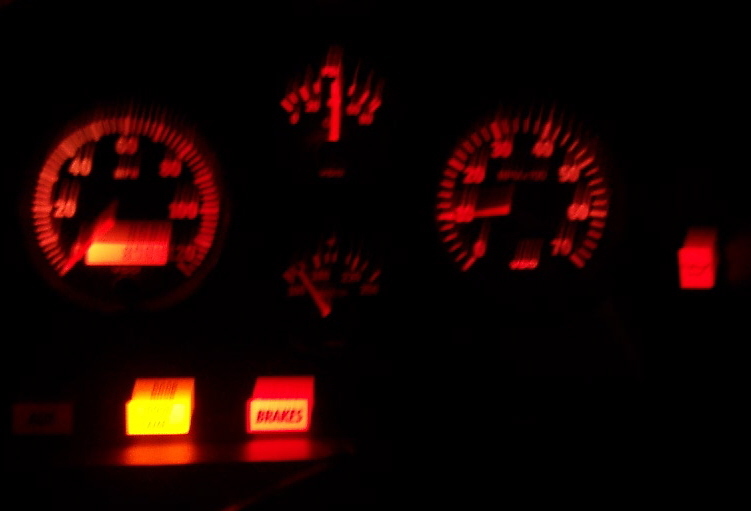 I would love to redo the gauges for the regular Fiero cluster. I just can't get smooth circles with paint and Anti-Aliasing. 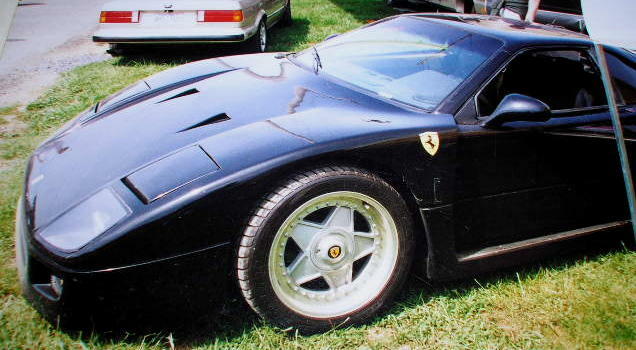 Where did you get the slot (gated) shifter? Was that part of the kit or was it separate? Saw that one at home depot in Florida 2 years ago - kinda cheesy but if i remember correctly it had a Northstar in it which is nice. 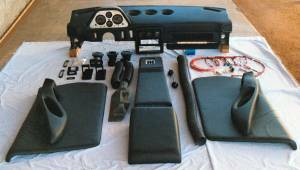 Here is some pics of instrument panel update - It is looking better then I ever thought it would. That looks great! Can't wait to see the rest of your dash project! Thank's Doc - I will update this every step of the way - By the way how's that LS2 swap treating you? 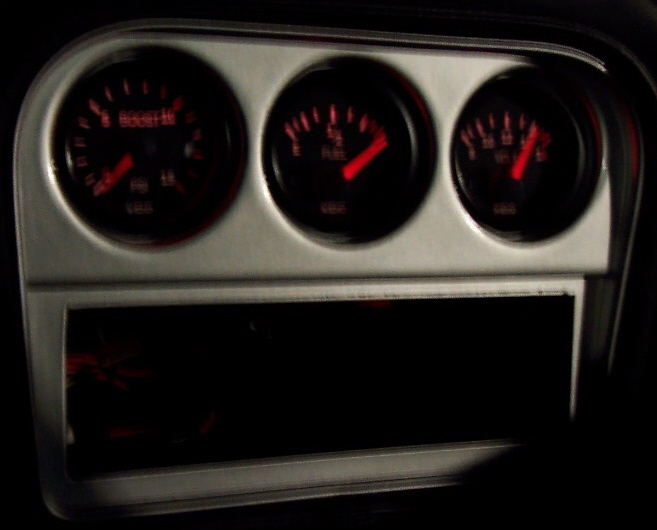 Second instrument panel configuration - I think I like it a little better - what do you guys think? the clusters look great .where did you get the indicator lights ? i could use those to dress up my cluster .all i could get locally are round unmarked ones . 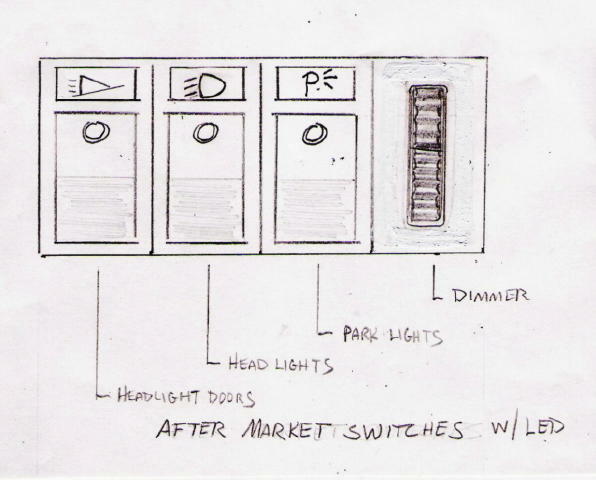 I am not the one building the dash but i will try to get the designer to post to this thread. Which ones do you need? 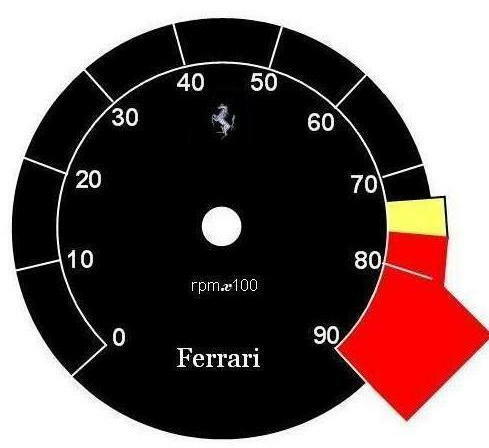 The indicators are made in my shop. 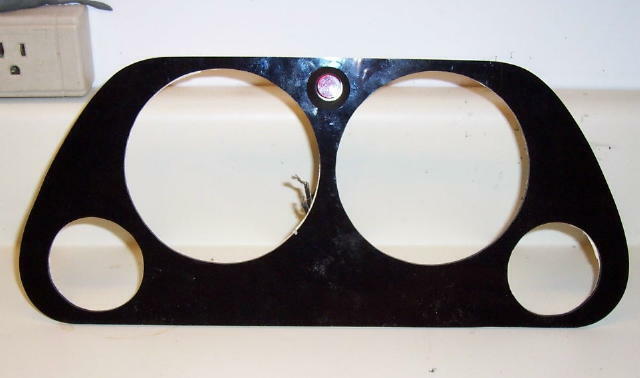 Fits standard 1/2" hole. They are $10 usd/ each. 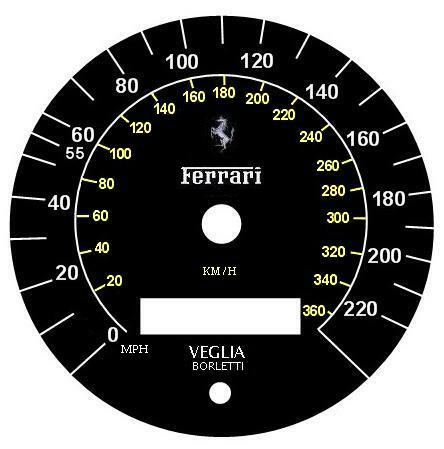 ferrobi; Wow your gauge layout looks nice. is it for the PISA eurodash ? 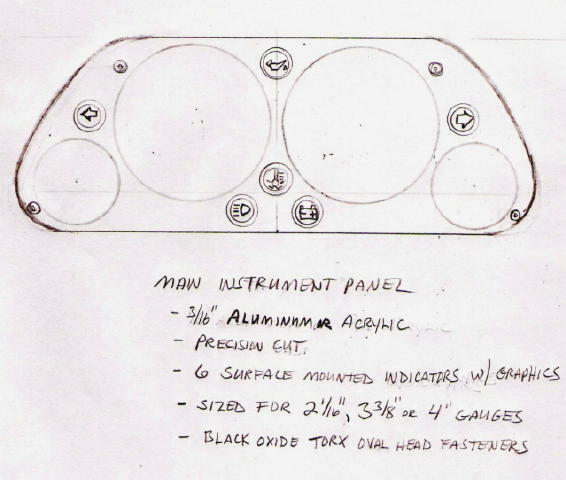 Would you send me a tracing of the flat panel piece the instruments mount in showing circles where the instruments and indicator lights fit ? I am not the one building the dash. Sorry, but i don't think your going to be able to locate anyone selling the kits anymore. 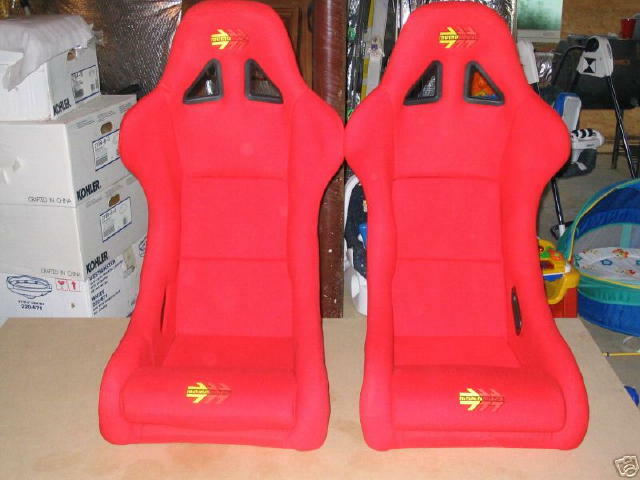 Thinking of changing my current Momo seats for these Momo Corse seats. Good idea? My current ones aren't adjustable either. So don't know if that really matters as ones i have now never bothered me. 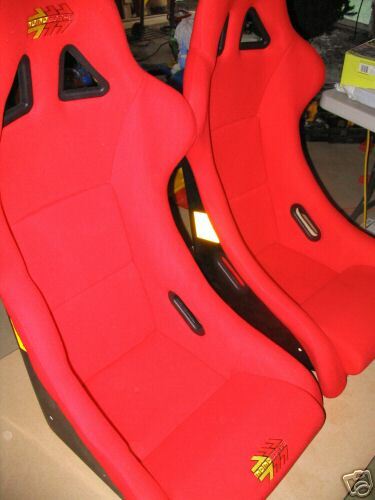 I sat in few MOMO seats last month. Boy-o-boy did my rear ever felt so good in them.